“Burn me down ‘till I’m nothing but memories”, Gustav Åhr cooed on Awful things, off the recently released album ‘Come over when your sober pt 1’. Lil Peep was given his name from his mother as a child, he had just turned 21 November 1st. He reportedly overdosed on the prescription pill Xanax 14 days later. 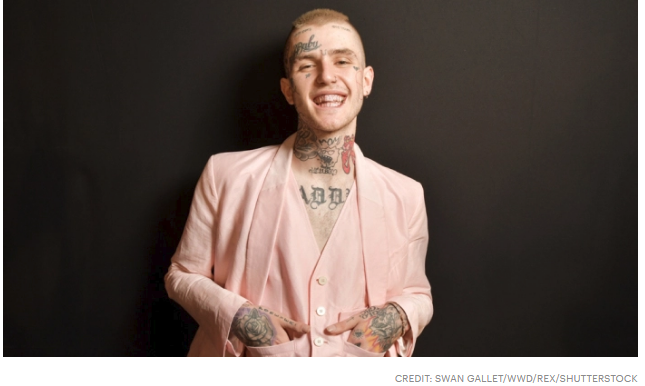 Lil Peep was known for his emotional lyrics and smooth rhymes. He left high school early to pursue his music career, eventually earning his diploma. He moved from Long Island to Los Angeles and started posting his music on YouTube then on SoundCloud. He found himself recording his songs while living in Skid Row before releasing his mixtapes in 2015, that gained him a growing following. “Crybaby” and “Hellboy” became more of his most popular songs, and he was starting to create a larger buzz. Lil Peep was set to perform in Tuscon at a bar called The Rock, when his tour staff could not find him before his scheduled show time, they prompted his manager to check on him. He was found unresponsive in his tour bus at 9 p.m, and local fire and police were unable to revive him. Based on the paraphernalia found at the scene, the suspected cause of death was due to an overdose of the anti-anxiety drug Xanax. In his last Instagram post, he posted a picture of himself performing on stage with the caption “When I die you’ll love me” Although those close to him are not claiming this to be suicide.